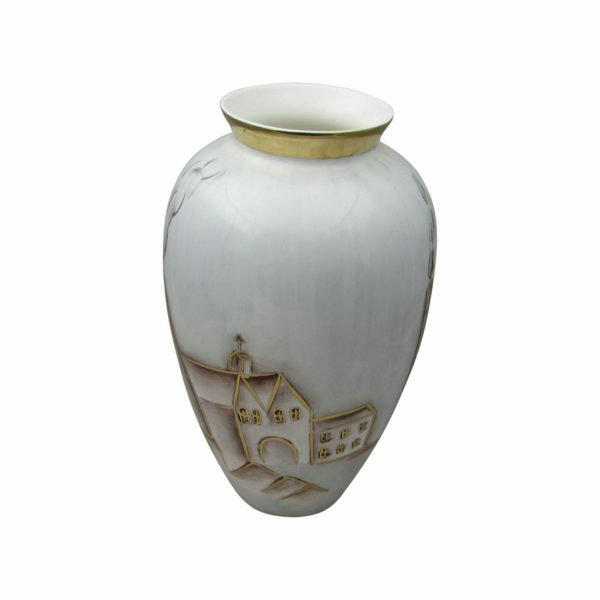 Hand Painted Art Pottery Vase. On Staffordshire Fine Bone China. Price includes UK Post and Packing (1-2 day delivery). International Shipping Rates are Discounted. 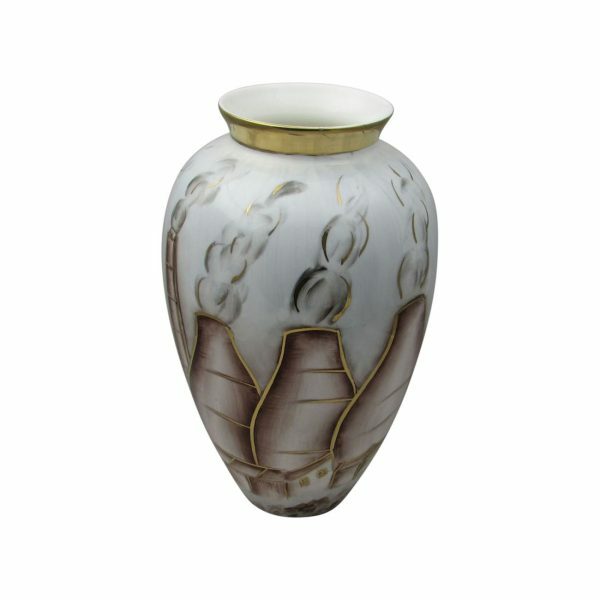 A Tall Vase Potteries Design. Produced by Emma Bailey Ceramics. In their studio situated within Middleport Pottery. Based in Burslem Stoke on Trent. Hand painted on Staffordshire Fine Bone China using lustre glazes. Then to complete the design. Embellished using gold glazes for the detail finish. Including UK Post and Packing. 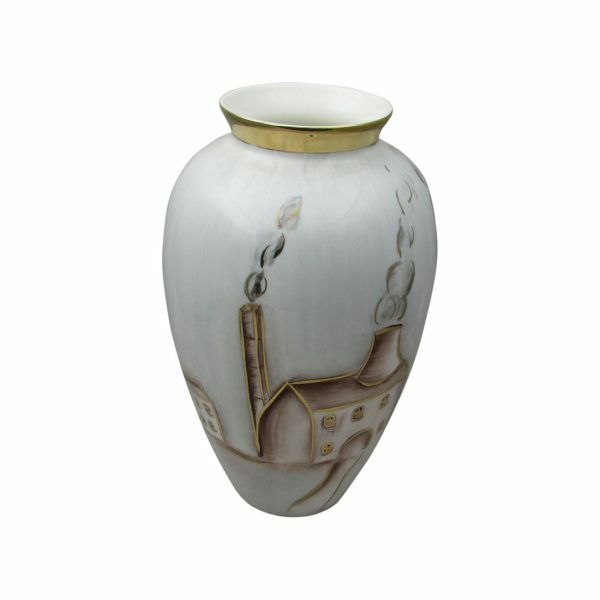 CLICK HERE to view our other products produced by Emma Bailey Ceramics.